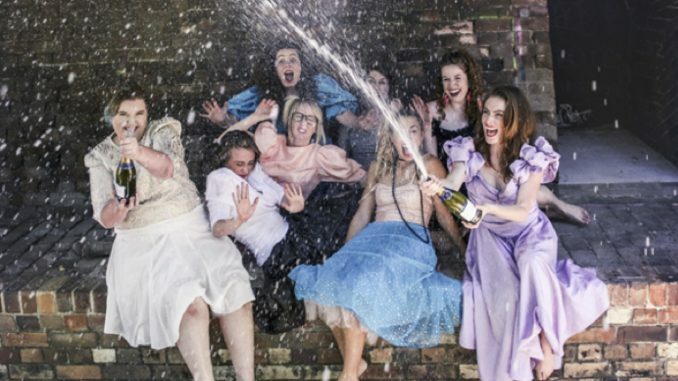 An all-women comedy performance night will hit the stage of the Giant Dwarf Theatre in Redfern this March. The comedians are raising money for the Inner West Roller Derby League (IWRDL), with much-needed funds to get them to the 5×5 Roller Derby Championships later this year. The IRWDL Skatecrashers have previously taken home the trophy for division two of the multi-city tournament, and are eyeing the prize for division one, with the help of essential fundraising and community support. The skaters are excited to join forces with these comedians for a strong partnership. “Sport and comedy are both spaces where women are going from strength to strength,” said IRWDL President Ophelia McMillan. It’s more than putting on some skates and getting in the rink. The costs add up between training, gear, insurance and transport, until suddenly derby becomes an expensive sport. “With students, mums and low-income workers all an integral part of our team, we want to make playing derby as accessible as possible,” said McMillan. The emerging and smash-hit comedians include Comedy Central star Becky Lucas, comedians Cassie Workman, Nina Oyama and Lauren Bonner, and improv troupes Confetti Gun and Quad Bike, with storytellers Bec Melrose and Hannah Pembroke. Come support these fabulous women as they support other fabulous women! Giant Dwarf Theatre, 199 Cleveland St Redfern.